Goodreads: The tale begins in the rural village of Bonito, Italy, with a visionary young shoemaker named Salvatore Ferragamo and ends in New York City with a fictional socialite and trendsetter named Carrie Bradshaw. Along the way it stops in Hollywood, where Judy Garland first slipped on her ruby slippers; New Jersey, where Nancy Sinatra heard something special in a song about boots; and the streets of Manhattan, where a transit-worker strike propelled women to step into cutting-edge athletic shoes. Fashion aficionado Rachelle Bergstein shares the stories behind these historical moments, interweaving the design innovations and social changes that gave each one its lasting significance and appeal. 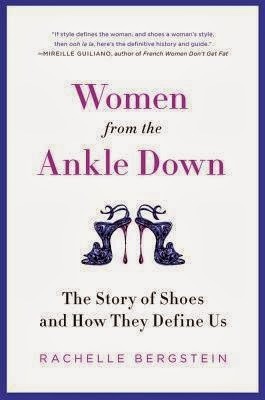 Bergstein shows how the story of shoes is the story of women, told from the ankle down. Beginning with the well-heeled suffragettes in the 1910s, women have fought for greater freedom and mobility, a struggle that exploded in the 1960s with the women's liberation movement and culminated in the new millennium with our devotion to personal choice. Featuring interviews with designers, historians, and cultural experts, and a cast of real-life characters, from Marilyn Monroe to Jane Fonda, from Gwen Stefani to Manolo Blahnik, Women from the Ankle Down is a lively, compelling look at the evolution of modern women and the fashion that reflects—and has shaped—their changing lives. Kritters Thoughts: A look through history and how events in history effect fashion and specifically footwear. 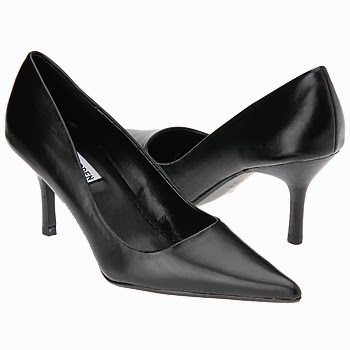 Starting at the beginning of how footwear really started becoming a way for women and men to show their personalities in the United States to how each war affected the fabrics that were used and even how to get shoes into the US from outside manufacturers. The most interesting thing for me was the correlation between historical events, fashion and their affect on footwear. Distinctly the flapper era where the hemlines went up and women would want showy shoes since you saw them compared to previous decades where shoes were hidden and were more for function. The last few chapters spoke quite in depth about the music industry and how it has put a stamp on footwear and I enjoyed having those two things in one conversation. There were a few moments in the book that I thought were more centered around fashion which includes footwear, but I thought footwear could have been highlighted more. And there were also a few times where history was given without much connection to fashion or footwear. These two points didn't ruin the book, but I would have skipped these time periods if there weren't any points to be made. Disclosure of Material Connection: I received one copy of this book free of charge from Harper. I was not required to write a positive review in exchange for receipt of the book; rather, the opinions expressed in this review are my own.